Needing to get some photographs for an article on pretty Kent villages, took myself off to the Weald last week only to find that places like Tenterden and Biddenden had thrown themselves into Jubilee mode with a vengeance. 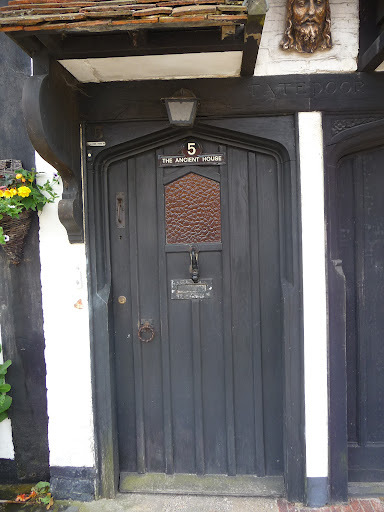 Medieval doorways draped with the Union Jack, windows bedecked with red, white and blue ribbons, and bunting strung across the streets wasn’t what my editor wanted for the article, so I had to leave this particular area and postpone the writing. 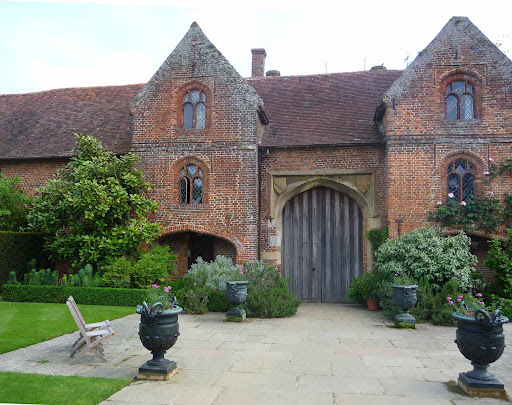 Looking round for an alternative idea I thought of covering some of the lovely venues in the area and headed for Sissinghurst which I’d visited some years ago. Unfortunately, I hadn’t checked opening days and when I got there found it wasn’t open on Wednesdays or Thursdays. Very disappointed. 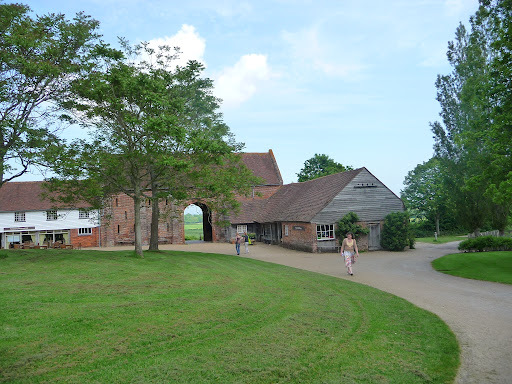 I felt it would have been helpful if National Trust had put a sign by the entrance giving the Opening Days, saving visitors a drive down to the car park and then a walk to the entrance, only to be refused entry. However, the sun was shining so I looked around the exterior of the buildings, checked out the plants for sale, was tempted by the David Austin roses for sale and enjoyed the lovely views. The emerald lawns looked spectacular and the exterior was immaculate, making it even sadder that I couldn’t gain entry to the house and gardens. 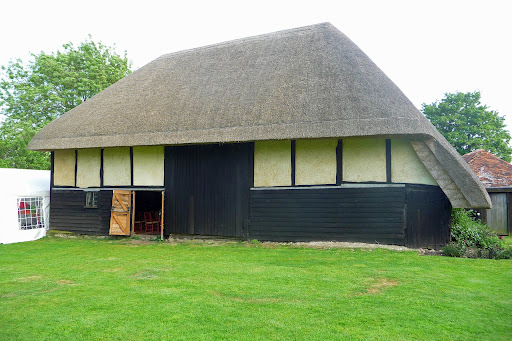 From there I drove on to Smallhythe Place, the best little Museum I have ever visited. Also a National Trust venue but they were open – until 4.30 that is. 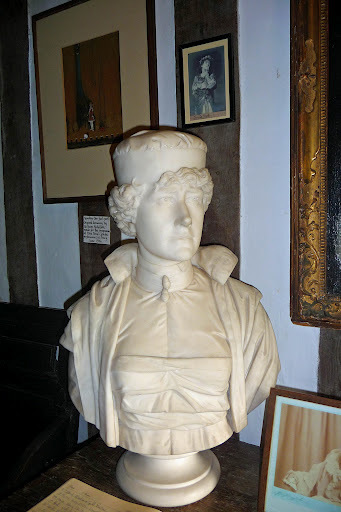 Smallhythe was the former home of one of England’s most beloved actresses, Ellen Terry, and the house still seems like a home, full of her treasures and memorabilia from various roles she performed on the London stage. 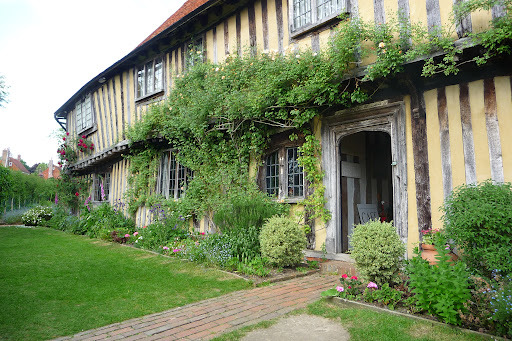 In the gardens is The Barn Theatre where many famous actors have worked (plays are still performed, but it is a private theatre), and the gardens are full of the roses she loved, every one of which had an exquisite smell. So, all was not lost on my trip to Kent, but I have made a note to avoid all celebratory times if I want to take photographs as the decorations do date them.